Your crocheting skills are allowing you to move on to produce more complex pieces. 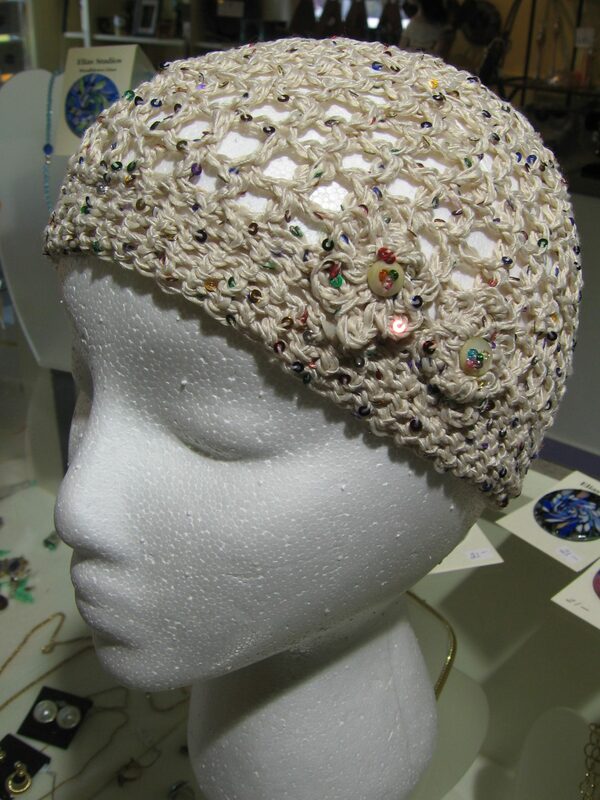 Enjoy crocheting with wire, beads, art yarns, making multiple strand pieces. Crocheted pieces make outstanding gifts for hostesses, ailing friends and of course yourself! This is the third workshop in the series of 4 that Lyn will teach. If you have already mastered the basics of crocheting, you can start right here! Students are asked to bring a worsted weight yarn and a G crochet hook.